Has Tax TIme Got You Thinking? As we collect our financial data to complete our 2011 Tax Returns, it is also a good time to assess our current income and expenses as well as our assets and liabilities. Whether we are just starting out with a job and/or young family, into retirement mode or somewhere in between, we should complete this exercise and then determine whether we want to see our situation improve in the coming year. It is very often said that “it is not what you make but what you save that counts.” This really works if we live within our means. We need to spend less than we take in and not run up credit card and other short term debt any more than absolutely needed. We need to “pay ourselves” first with a portion of our paychecks going into a retirement account (no matter what our age) and other savings. We need to spread the savings around as we don’t have the luxury of focusing on only one financial goal at time with house payments, college savings, medical needs, retirement accounts and new vehicles on the horizon. Living in a home that is comfortably within our means can allow for simplicity and a smaller monthly housing cost. 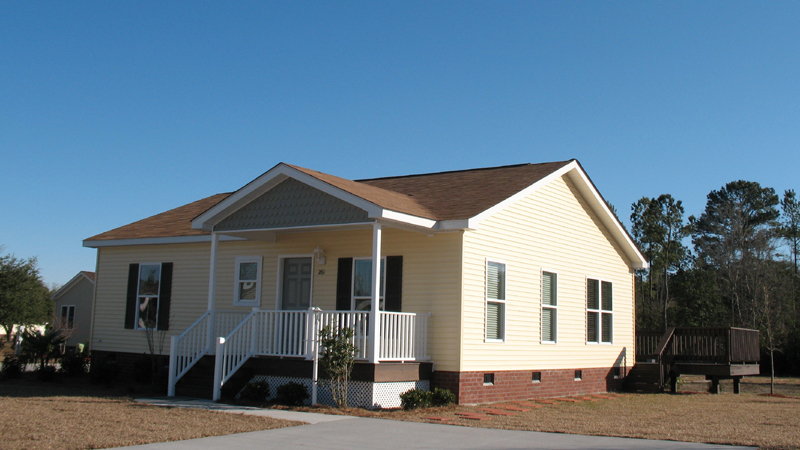 Houses are typically not only our biggest asset but the highest portion of our monthly costs. By keeping expenses reasonable and comfortable, it frees up money that can be spent on other big goals and saving for the future. Is our current house what we really need? If we objectively consider our home’s costs and benefits, it is perhaps inertia that keeps us in place and tied down to more costs than benefit. At Jensen communities®, we offer homes at Traditional, Classic and Premium price points to suit your desired investment and lifestyle. By selling a larger and more costly home to maintain, many buyers find that they are not so much downsizing as “rightsizing” to a sensible one-floor home that fits and meets their present needs as well as more fun to live in. All homes are Energy Star rated so they are more efficient to heat and/or cool with Energy Star appliances for additional savings. If tax time has got you thinking, consider seeking out a change to a house within your means and move on to a home and lifestyle that will take less bite out of your income. 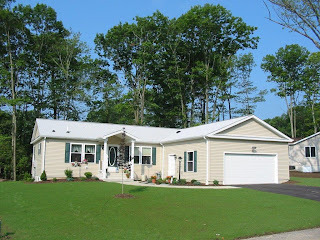 What's Under Your Manufactured Home? 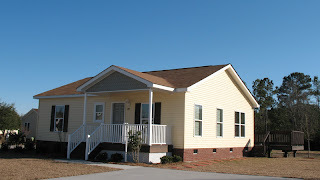 We still have mobile homes in our older communities dating back to the mid 1960’s. The homes have aged so well because their owners took great care of them and they were built on a strong gravel pad “foundation” which was “state of the art” at the time. All homes need a firm foundation. For the last 25 years at Jensen communities, that has meant a monolithic concrete slab (or a full perimeter concrete foundation in some of our newest places). We started using slabs well before they were required because it became a “best practice”. 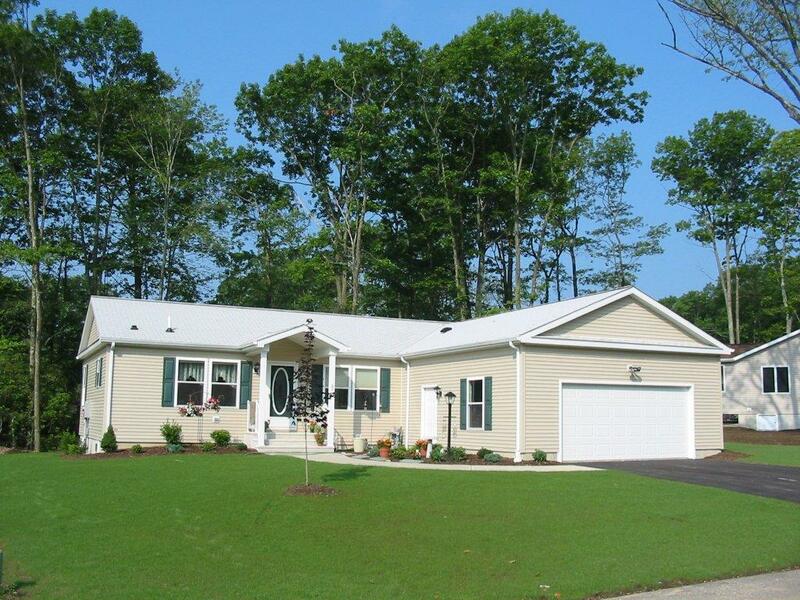 Since most folks moving to a retirement community (or just a smaller home) do not need a basement and to save on costs, the concrete slab is the best suited for the task of supporting today’s modern (and heavy) manufactured home for years to come. We start with setting the grade for the site to ensure that water will run away from the home. Then, crushed gravel and stone are laid and compacted before the slab is formed. In some soil conditions and climates, extra footings are dug under the home’s pier system or around the outer edge to make the slab even stronger. The bulk of the slab is about 6” thick and poured with fiberglass or wire mesh for extra strength. The slab is made 4” to 6” larger than the actual home to provide a “reveal” and ledge to install either vinyl or brick skirting to dress up the underside of the home. Home tie-downs are anchored directly into the slab and then to the home securing it according to the home’s installation manual. Using a full concrete slab also allows the home’s electrical service to be directly mounted on an exterior wall saving cost, extra equipment resulting in a much neater look to the yard. Setting a proper grade and landscaping up to the slab prevents water from getting under the home. We take pride in what is under our homes because we know it is important to you and your home’s longevity. What does "the Good Life" mean to you? Time is truly one of our most precious personal resources. There is only so much time in a given day, week or year. When I was really young, I remember thinking that I would never get to certain stages in life like driving, graduating from high school and college, voting, drinking as an adult. Then with work and small children, time became very valuable because of the competing priorities. Now on the retirement side of 50 and carrying an AARP card (and not bashful about getting those hotel discounts), time is of the essence to enjoy the hobbies and people that are important. I can only imagine as life goes on that time will become priceless. At Jensen’s we find that those seeking a new home may do so for several reasons. These usually include the physical, financial, social or locational discontent of their current property. There is always a strong desire to improve on one or more of them and find a way to enjoy “the Good Life”. The need to change may be pro-actively talked about or unspoken. When working with a couple, we appreciate that each of their needs, wants and desires may not always be the same. My knees are giving me problems and a one floor Easy Living Home would be much easier. Our neighborhood has changed and most of our friends have moved on. We would like to meet others our own age with community activities. People don’t realize making a move can not only benefit them physically but will improve their lifestyle and ultimately provide more free time to do things they really want to do. With a smaller home and yard, there is simply less home and lot maintenance and more time for “the Good Life”. The New homes with newer features have fewer things to repair or replace. When the community owner does the heavy lifting, you don’t deal with the bigger issues involved with community and home ownership. You can walk the streets in the neighborhood or use the exercise room in the clubhouse, and don’t have to drive across town to the health club. With friends and neighbors to enjoy a meal with, we go out to eat whenever we want and don’t need to shop for food so often. So many things to enjoy: friends, grandchildren, family, hobbies, sports, opportunities to travel and volunteer, fun part time jobs, and things to learn, why not free up some time to take advantage of this part of your life? Consider what “the Good Life” means to you and act on a plan to achieve the desired changes! Like many of Jensen’s current homeowners, you will wish you had done it sooner!